Show Chiaroscuro lighting video on YouTube. Place lemons on tables in randomized positions along some tables in a row. Tables should be aligned with a single light source coming from one end. Turn our all the lights in the room except for the light shining on the lemons from ONE side. Single source side lighting will give the lemons an light and dark side, strong cast shadows, and visible highlights. In addition, our tables had a reflection of the lemons in it. 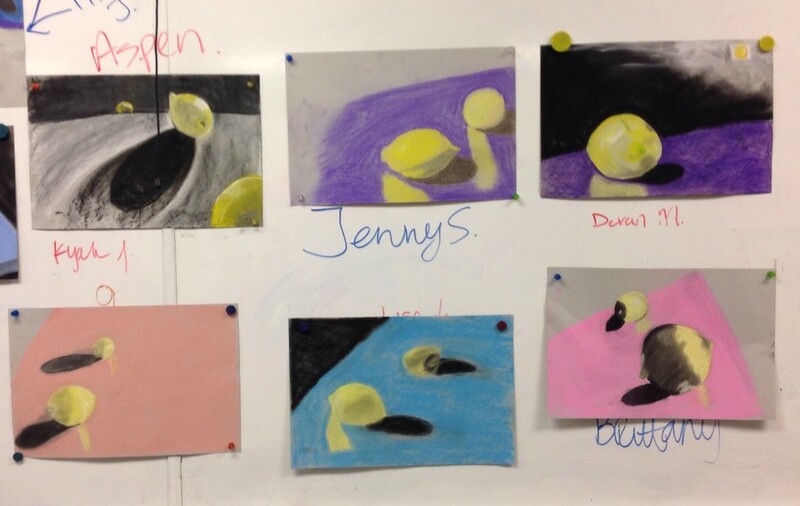 Have students block in the lemons in a "rule of thirds" location on their paper using light lines or a pastel yellow shape. 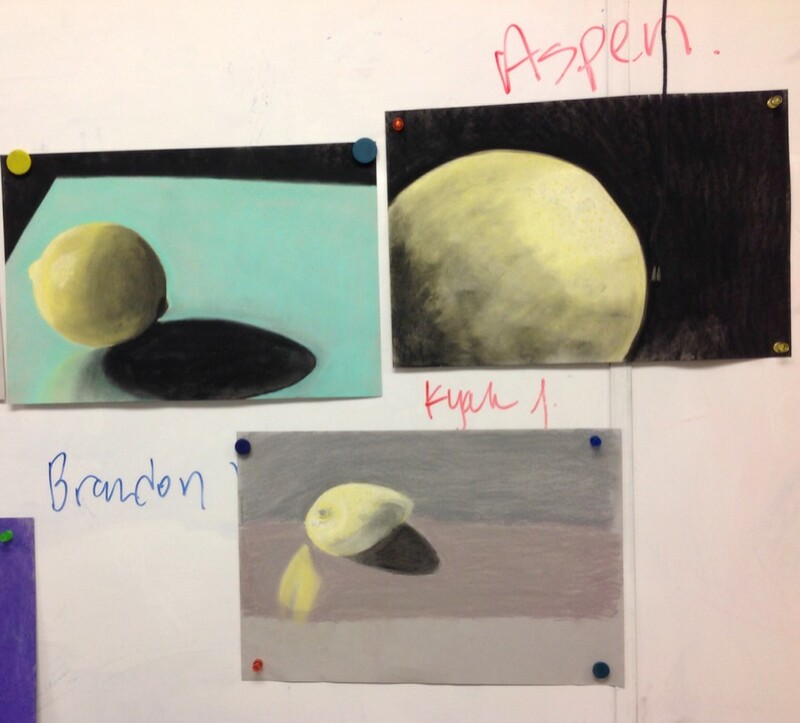 Ask students if they can locate the Highlight, Mid-tones, Crest shadow, Reflected light and Cast shadow on the lemon they are looking at. Ask student to them create a dark curved shape matching the crest shadow. Ask them to scumble in a dark shape for the cast shadow. This will help them start on the range of values needed. 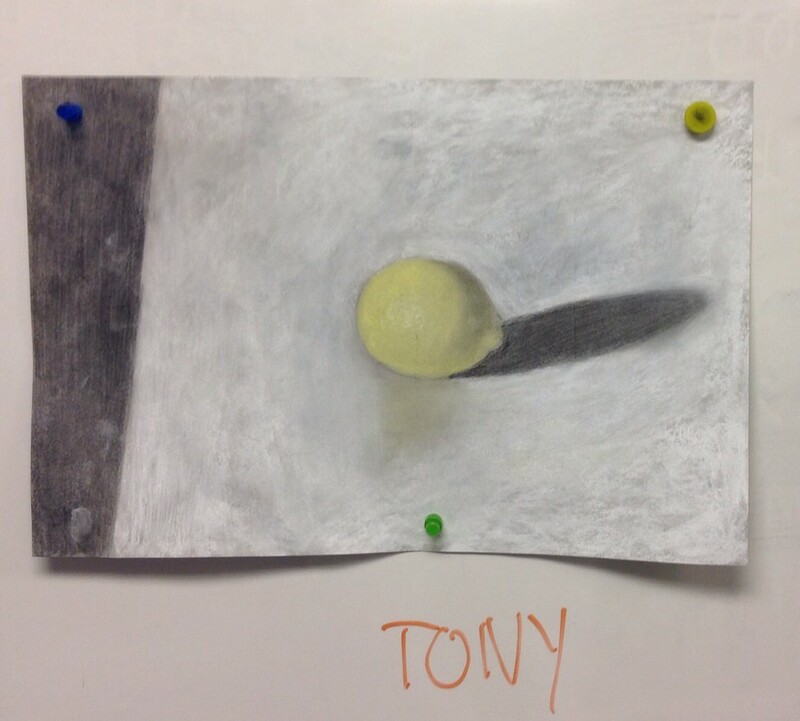 By focusing on a single non threatening object, a lemon, and a single light source students are able to see and draw the strong light logic on the singe colored lemon. 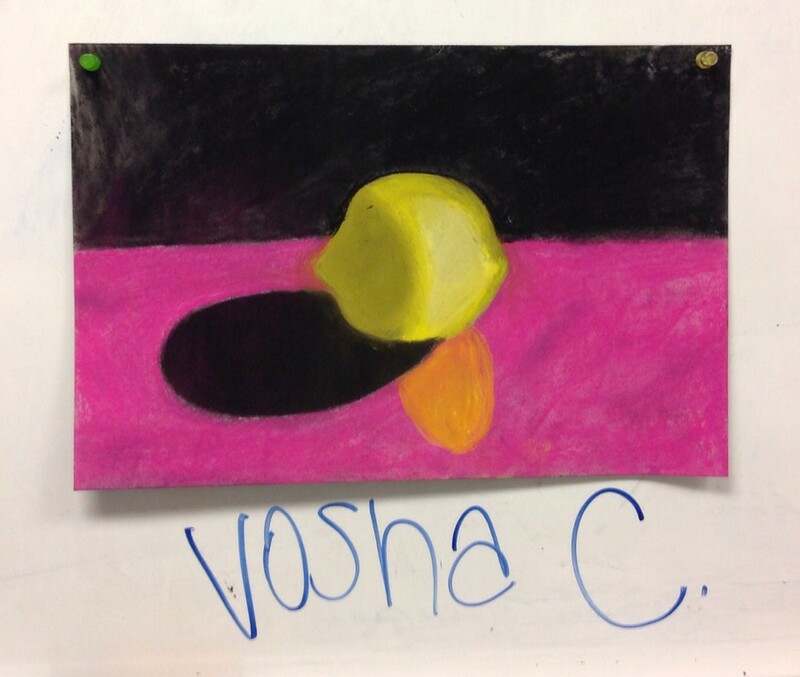 Although all students seem to want to strive for realism some students such as Vosha below are naturally going in a strong graphic design direction. When working with students in critique I have them steer away from it's good type critique to the "I notice" critique in which they try to notice the most effective design elements and principles in a work. I love lemon day. I have lemon day in week 3 of Observational Drawing. This is the third week of any college experience for some students. Students are transformed in several ways. First they are able to concentrate for over 1/2 hour on a single event. 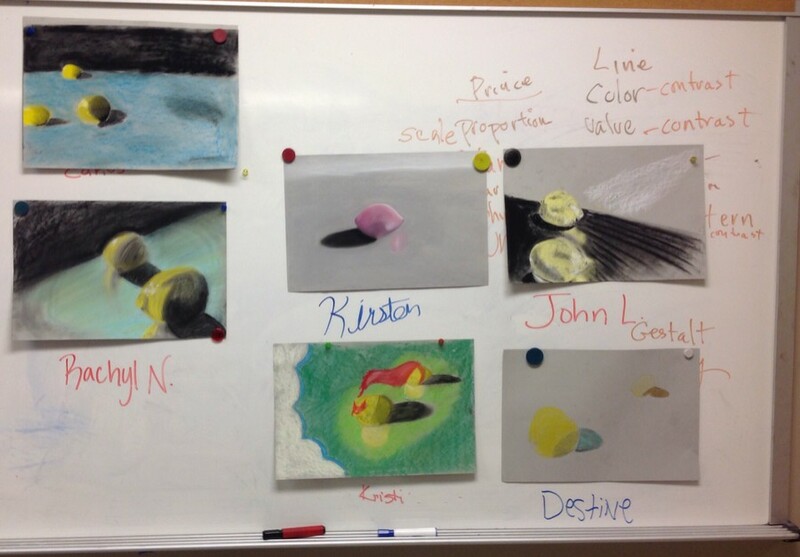 Second, they find that by closely observing they already know how to draw. Finally they learn that they can take ideas from each others work to make their own work more effective. The chiaroscuro video is life changing if it is followed by an activity that clearly illustrates the concept of how lighting is the key to dimensional space on a flat picture plane.